WordPress Websites for Business: How Anyone Can Maximize Website Performance and Results puts the knowledge of professionals into your hands so you can achieve the same results they do. It describes many of the techniques that I have proven to work for websites, for business and for lead generation and sales. I show you how to leverage other people’s expertise to your own advantage and I describe how to make the most of your time. A website that will bring you customers has compelling content, and I’ll show you how to get the content onto your site that focuses on solving your customers’ pain points, and how do it the quickest to bring the best results. Initial WordPress settings are detailed that will tighten your website security, and maximize your search engine optimization (SEO) for top search engine rankings. Why you need a child theme and how to set one up is discussed. I describe how to write the content that will bring in your ideal customers, and how to leverage the best content on the Internet and use it to your advantage. 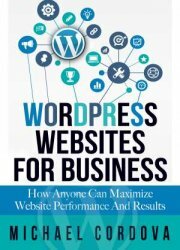 The book describes how local companies are different than nationwide or worldwide companies, and what you have to do on your website to differentiate your business so search engines can recognize its most important information, and simple ways to market your business so it stands out from the crowd. I discuss several methods of maximizing your local SEO. How to speed up your page load times is important for two reasons. One, nobody wants to wait for website pages to load, and two, fast page load times mean higher search engine rankings. 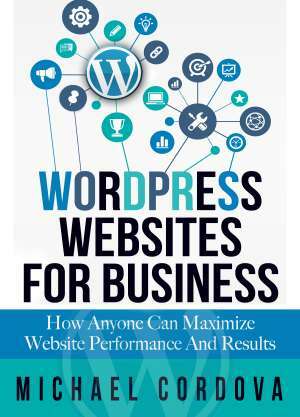 The book describes all aspects of reducing page load times and provides several methods and tools to do so. A book about WordPress would be remiss without a discussion about plugins. Plugins are the WordPress secret sauce that allows you to expand the capabilities of your website, usually at no cost. The most effective plugins that I have proven and used for years are listed and detailed as far as how to use them and set them up. 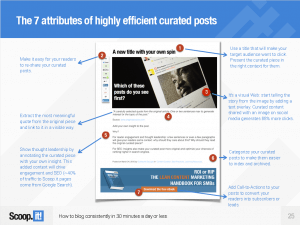 Content curation is the process of writing about and referencing content that others have written. Sometimes that content may even be on your competitor’s website. Yes, your competitors. Why would you do this you ask? Because it instills a sense of trust from your readership. When people see that you are posting content that is in their best interest, then they are a lot more apt to read more of the content you post. What you want to do is find the content that your ideal prospects/customers would like to read. Content that solves their most nagging problems. You’ll give them credit with a link to their original post, and you’ll write a blurb tying it into your own business and scenario. There are tools you can use to make this effort more efficient, like Scoop.it. 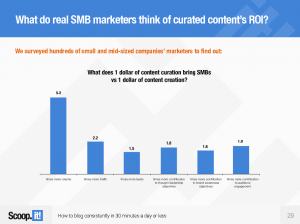 It is a paid service, but well worth it if you spend hours creating quality content. 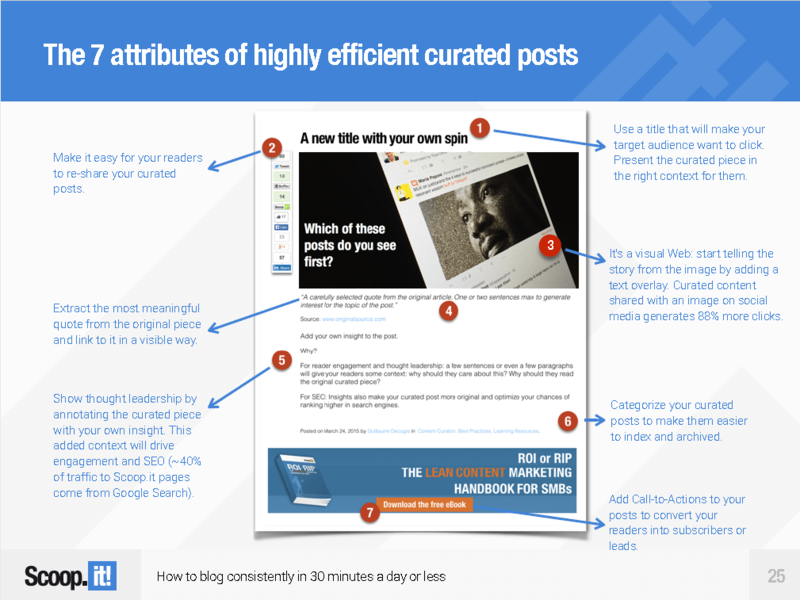 This is a Scoop.it graphic that shows the anatomy of a well designed curated post. It is from their white paper “How to Blog Consistently in 30 Minutes a Day or Less”. 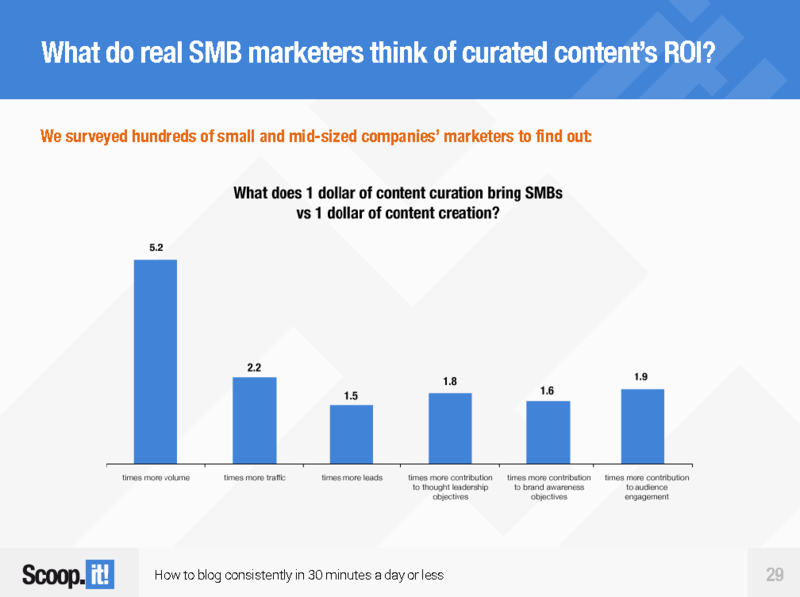 You seriously need to integrate content curation into your website and content marketing plans. I’ve been building websites for customers since the beginning of the Internet. With my technical background (I’m an Electrical Engineer, have written software in more than 50 languages, founded a software company in 1993, was CTO of two other companies, one of which I co-founded, and was a System Engineer for Computer Sciences Corporation where I designed and built custom hardware, software and communication systems for the Missile Warning and Attack Assessment mission of the U.S. Air force at NORAD), I approach building websites from a different perspective than most other developers. I approach it from a technical yes, but also a business perspective. I pull the best technologies together to solve customer problems. My job has always been to translate technology into effective solutions to solve problems of scalability and efficiency, and to make companies more profitable. The websites I have built for customers and the subsequent SEO and online advertising I have done for them has literally changed many of the companies. I have increased one customer’s sales by eight fold to $4 Million/year, increased another’s income by +$300,000/month and reduced conversion costs to one 16th of the original cost. After helping so many companies achieve their business goals, I realized that my limitation was that by working with customers directly I was limiting the number of people I could help. I only had so much time in a day. By writing a book I could assist so many more businesses to gain an online presence that they can depend on to stabilize and grow their business with more leads and sales. 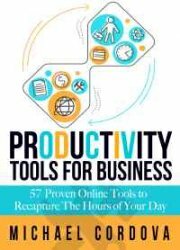 This book has all of the methods that I use to transform your company. If you follow the recommendations in it then you can expect outstanding performance and results. If you have any questions about the process of building your website, feel free to comtact me with your questions and I’ll do what I can to help.